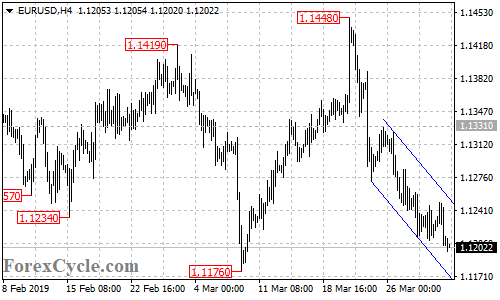 EURUSD stays in a bearish price channel on the 4-hour chart and remains in the downtrend from 1.1448. As long as the price is in the channel, the downside movement could be expected to continue and deeper decline to test 1.1176 is still possible. On the upside, a breakout of the channel resistance would indicate that the downside movement is complete, then another rise towards 1.1400 could be seen.